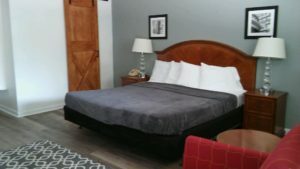 Services – The Oak Motel in La Grange TX. 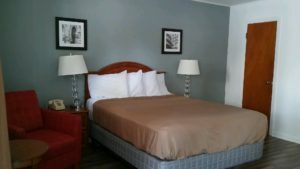 Come Visit "The Best Little Motel in Texas"
King Room it is a 300 Square feet. 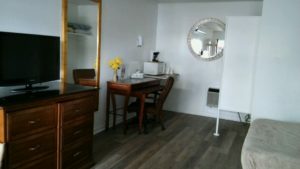 All Rooms on Property it have a Coffee Maker, Microwave/Mini Fridge, TV with Cable and WiFi. With the updates done to the rooms we have 5 King Rooms. 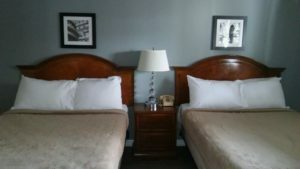 We have 1 Queen Rooms at The Oak Motel all are in Rooms that are 300 Square Feet. All Rooms on Property come with a Coffee Maker, Microwave/Mini Fridge, TV with Cable and WiFi. We have 11 Rooms that are considered a Quad Occupancy they have 2 Full Sized Beds in them. All of our Rooms are 300 Square Feet. Every room on Property has a Coffee Maker, Microwave/Mini Fridge, TV with Cable and WiFi. The Room Amenities – All rooms come with a Desk, Desk Chair, Coffee Maker, Microwave & Mini Fridge in the Room. 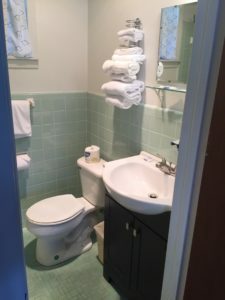 The Bathrooms – The original 13 rooms were updated with new vanities, cabinets, sink, fixtures & mirror. The Office – We replaced the flooring, paint fixtures, seating & reclaimed the wood / metal to rebuild the front desk. We are so happy to have you stay with us at The Oak Motel. We continue to make changes since we purchased the property in June of 2017. Please enjoy your stay in wonderful La Grange, TX. The Joseph Koss Home was build in 1907 for his Family it was sold to H.T. Carter Family in 1959 they added the Motel and Office addition to the property it was sold to H. Mistry and Family in 1981 they added 5 more rooms to the property. We purchased it in 2017 and hope you enjoy the updates.